A toe injury will keep Capitals star Kelsey Griffin from attending Opals camp. Photo: Supplied by UC Capitals. Three UC Capitals Championship winners have been named in the Australian Opals squad for their first camp for 2019 but it’s the one big name that wasn’t called out that has caused a stir. WNBL MVP and Capitals MVP Kelsey Griffin has pulled out of the camp as she contemplates minor toe surgery before her return to the WNBA with the Minnesota Lynx this season. Injury will also keep Capitals teammate Kristy Wallace (ACL) out of the Gold Coast camp, which is focused on the FIBA Asia Cup and Olympic Games qualifiers. Capitals head coach Paul Goriss will return to the Opals coaching staff and will be joined by Marianna Tolo and off-contract stars Leilani Mitchell and Lauren Scherf at their camp. 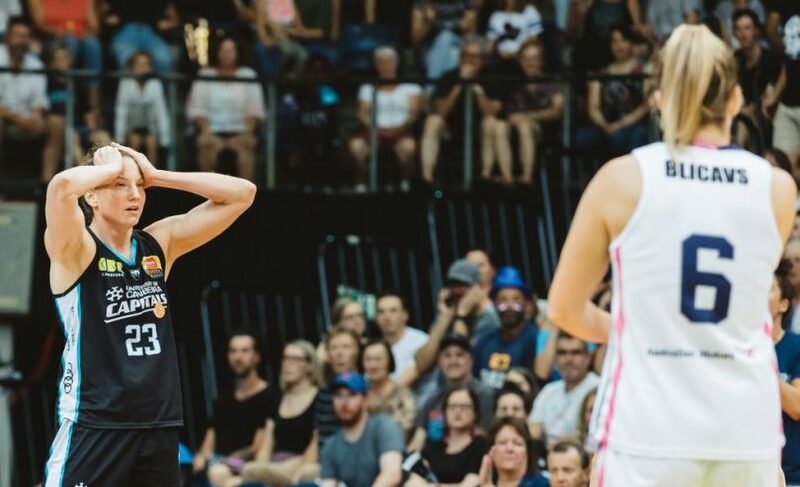 Both Mitchell and Scherf are yet to put pen to paper with the Capitals for the 2019/20 WNBL season, as last year’s champions aim to create a dynasty in the nation’s capital. The Opals camp is the first step in a big year for the Opals that includes the 2019 FIBA Asia Cup and the start of the FIBA qualifiers for the 2020 Olympics and 2022 FIBA World Cup. Held from 12-18 April, the Gold Coast camp will be followed by a camp in Phoenix, Arizona from 20-31 July before the team for the Asia Cup is announced in August. Head coach Sandy Brondello said the squad announcement is an exciting first step in what will be a significant year for the Opals. “These camps will be a great opportunity for the coaching staff to evaluate a larger group of players and target the ones who we believe will have the best chance of making the tournaments later in the year,” she said. Following the Asia Cup in September, Brondello said her side has very important qualifiers in November in the first step to 2020 Tokyo Olympic qualification. “Following the Asia Cup in September, we have the very important qualifiers for our region in November,” Brondello said. Australian Opals squad for the Gold Coast camp: Zitina Aokuso (JCU Townsville Fire), Rebecca Cole (free agent), Katie Ebzery (Perth Lynx), Cayla George (Melbourne Boomers), Tessa Lavey (Bendigo Spirit), Tess Madgen (Townsville Fire), Eziyoda Magbegor (Melbourne Boomers), Tiana Mangakahia (Syracuse Orange). Leilani Mitchell (free agent), Lauren Nicholson (Adelaide Lightning), Jenna O’Hea (free agent), Lauren Scherf (free agent), Nicole Seekamp (free agent), Stephanie Talbot (Adelaide Lightning) and Marianna Tolo (UC Capitals).